It’s no secret things change as you get older, and that includes your taste buds. There are many foods I didn’t like growing up, but now really do have an appreciation for them. Brussel sprouts is one. I’ve tried them numerous times over the years and, although I didn’t hate them, they were not really something that I enjoyed or ever made in my own home. Until recently. I bought them, thinking I would give it another whirl because it’s been a long time since I’ve made them. I roasted them the same way I’ve done in the past and to my pleasant surprise I enjoyed them! So I decided to try them a few different ways. I created this salad because I want to have many ways to incorporate them into my diet. Brussels are a great source of vitamin K and vitamin C. In addition they have glucosinolates, which is a compound that helps the liver to detoxify naturally. Shred Brussels sprouts using the shredding blade of a food processor or slice thinly with a knife. Place Brussels sprouts in a large bowl and combine with chopped bacon, red onion, raisins, pumpkin seeds, and cheese. Whisk together vinaigrette ingredients and toss into salad. 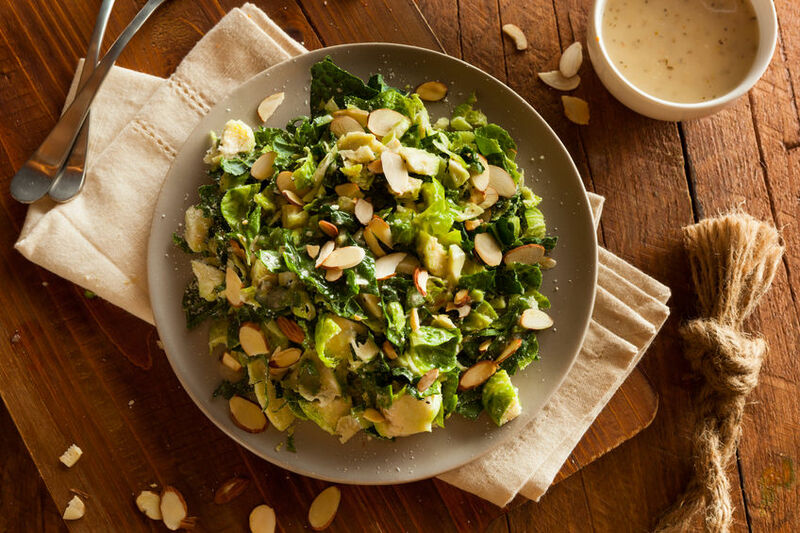 For a crispy salad serve immediately, however the salad dressing can serve as a marinade and soften the Brussels and making it delicious in a different way. Comment below to let me know your favorite way to eat Brussels sprouts.